Courtney Barnett has completed her headline run of Australian shows and returned to US and European shores to continue her world-dominating tour. It has been announced that her critically acclaimed second album, Tell Me How You Really Feel, has been nominated for two ARIA Artisan Awards – Engineer Of The Year (Burke Reid) and Producer Of The Year (Courtney Barnett, Dan Luscombe & Burke Reid). Australian fans will be treated to incredible live show over the summer with the recent announcement her inclusion on Mountain Sounds Festival as well as Laneway Festival, Fairgrounds and Queenscliff Music Festival. 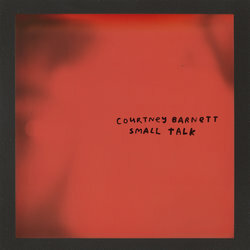 The surprise track itself shows Courtney’s stylistic versatility as she winsomely sings over a walking bass-line before launching into joyful a series of ramshackle jams and choruses. It’s a song as skilfully infectious and charming as she’s ever recorded.